Quantity Promotional Ad Marketing Products since 1995. 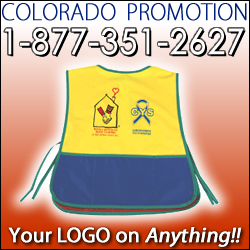 Colorful Kids Art Apron / smock – perfect for the Childrens Craft booth at an Art Festival, outdoor expo, school events and more. Multicolor vinyl with side-ties to fasten. Imprint area 7″x5″ – Call today – these are the perfect item to promote your childrens event celebration!